2. 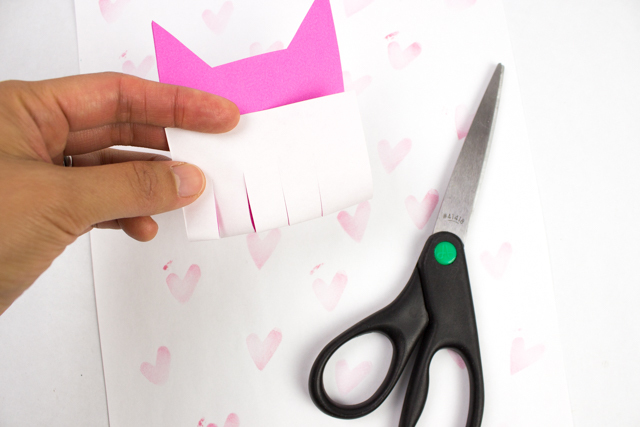 Fold the bottom of the cat upwards and cut some slits in the cat's belly. 3. 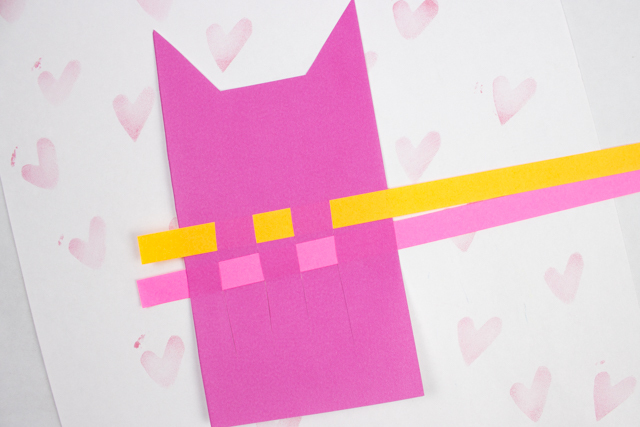 Grab some colorful strips of paper and weave a sweater for your kitty! 4. 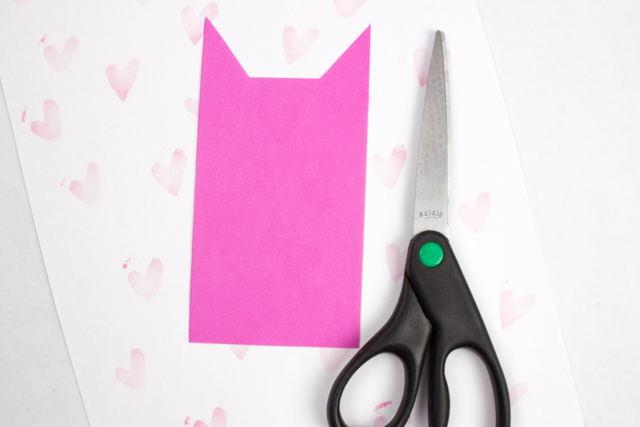 Cut the strips of paper at the edges and use a piece of tape or glue stick to stick ends down. 5. 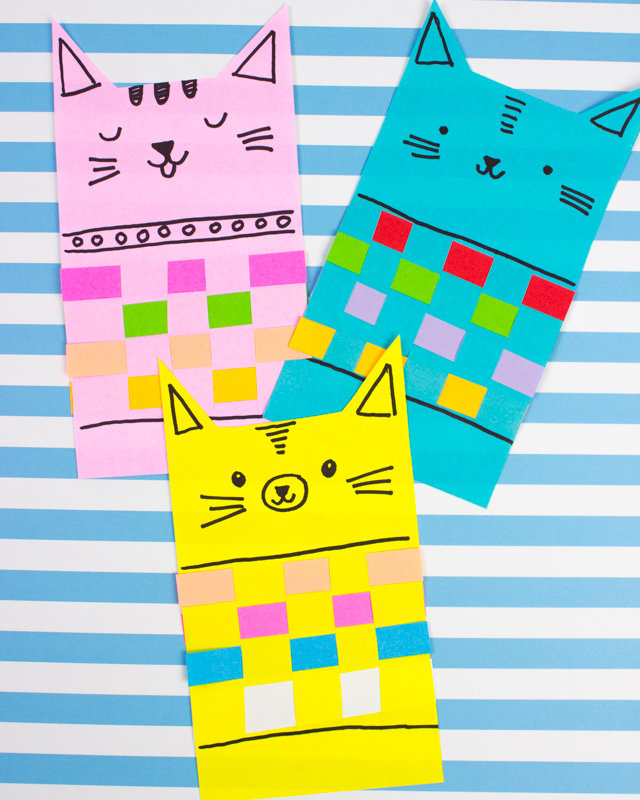 Grab a marker and draw on some cute feline faces. 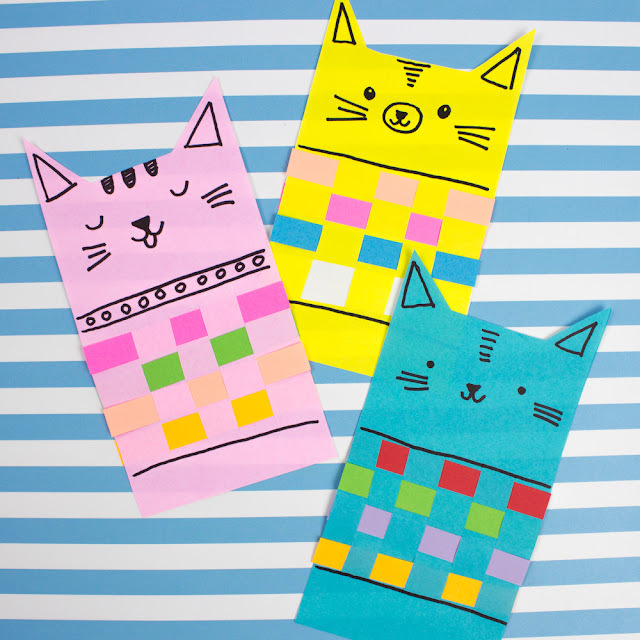 Looking for more Kitty Cat Crafts?